China has begun large-scale mining operations on its side of the border with Arunachal Pradesh where a huge trove of gold, silver and other precious minerals valued at about $60 billion has been found, a media report said on Sunday. The mine project is being undertaken in Lhunze county under Chinese control adjacent to the Indian border, the Hong Kong-based South China Morning Post reported. China claims Arunachal Pradesh as part of southern Tibet. Projecting the mining operations as part of China’s move to take over Arunachal Pradesh, the report said “people familiar with the project say the mines are part of an ambitious plan by Beijing to reclaim South Tibet”. “China’s moves to lay claim to the region’s natural resources while rapidly building up infrastructure could turn it into ‘another South China Sea’ they said,” it said. The Post report, with inputs from local officials, Chinese geologists as well as strategic experts, comes less than a month after the first ever informal summit between Prime Minister Narendra Modi and President Xi Jinping that was aimed at cooling tensions to avert incidents like them Doklam military standoff last year. The 73-day standoff marked a new low in bilateral ties. Lhunze was in the news last October, just about two months after Doklam, when Xi in a rare gesture replied to correspondence from a herding family in Lhunze County underscoring Beijing’s claim to the area. The family is based in Yumai, China’s smallest town in terms of population located close to Arunachal Pradesh. The Post report said although mining has been going on in the world’s highest mountain range for thousands of years, the challenge of accessing the remote terrain and concerns about environmental damage had until now limited the extent of the activities. But the unprecedented heavy investment by the Chinese government to build roads and other infrastructure in the area has made travel easy. Most of the precious minerals which include rare earths used to make hi-tech products are hidden under Lhunze county, the report said. 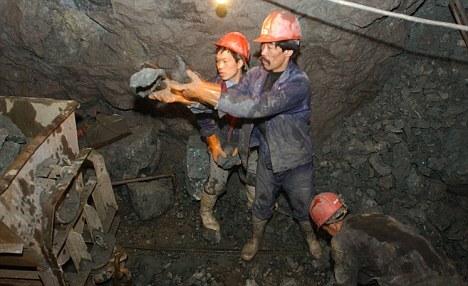 By the end of last year, the scale of mining activity in Lhunze had surpassed that of all other areas in Tibet, it said. People have poured into the area so fast that even local government officials could not provide a precise count for the current population, it said. “Enormous, deep tunnels have been dug into the mountains along the military confrontation line, allowing thousands of tonnes of ore to be loaded and transported out by trucks daily, along roads built through every village,” it said. Extensive power lines and communication networks have been established, while construction is under way on an airport that can handle passenger jets, it said. With more mines being dug in Lhunze and surroundings, a county official told the Post that more than 80 per cent of the county government’s tax income came from mining. The mines would also lead to a situation akin to “another South China Sea” arising out of the world’s highest mountain range, it said. Zheng Youye, a professor at the China University of Geosciences in Beijing and the lead scientist for a Beijing-funded northern Himalayan minerals survey, confirmed to the Post that a series of discoveries in recent years put the potential value of ores under Lhunze and the nearby area at 370 billion yuan ($58 billion). “This is just a preliminary estimate. More surveys are under way,” he said. According to Zheng, the new-found ores could tip the balance of power between China and India in the Himalayas. He said Chinese troops withdrew in the 1962 war from the areas in Arunachal Pradesh as they had no people to hold the territory.